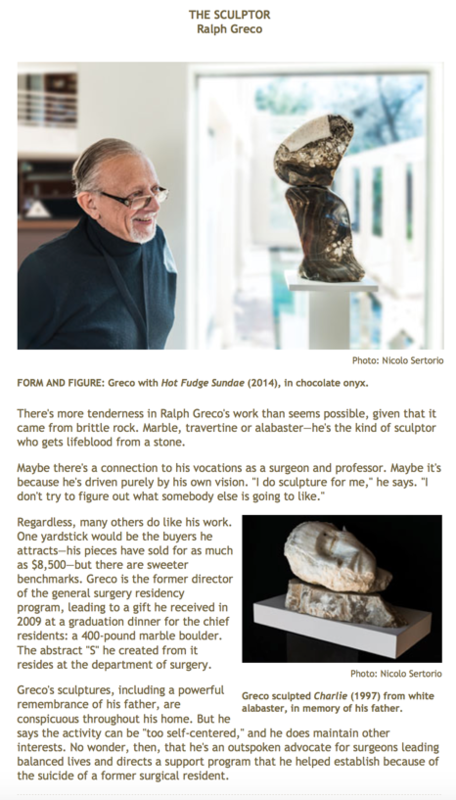 Ralph Greco is a Stanford University Surgeon and a Sculptor. His sculptures can be found in the collections of Johnson and Johnson, Robert Wood Johnson University Hospital, Stanford University and other private collections around the United States. 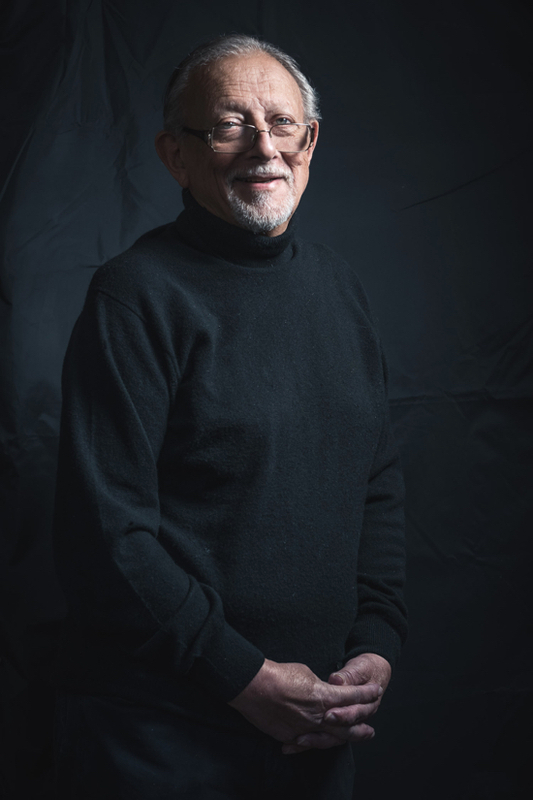 With almost 30 years of experience in the art of carving and creating representational and abstract stone works, Ralph has had his own shows in New Jersey and New York, including at the Johnson and Johnson worldwide corporate headquarters. His most recent show was at Stanford in 2013. Born and raised in New York, Ralph studied medicine at the Yale School of Medicine at Yale University. The Yale-New Haven Hospital was home to Ralph’s surgical residency. In 2000, Ralph was recruited to the Department of Surgery at Stanford University. Ralph cites Constantin Brancusi and Dame Barbara Hepworth as his muses and influential in his representational and abstract work. He began his sculpting studies at the Princeton Art Association under Lilli Gettinger in 1986. About five year laters, after the birth of his first two children, the family moved to Somerset County, NJ where he began to sculpt on his own. Ralph had his first one man show and first sale at a small gallery in Green Brook, NJ in 1995. Since then he has continued to work in stone and wood, with an occasional foray into terra cotta.